Organically grown coconuts are purchased from organic certified estates. Entire process from husking to drying, oil expelling, filtering and packing is done under very strict food safety hygienic environment under control temperature. Our factory is ISO 22000-2005 and Organic certified’. 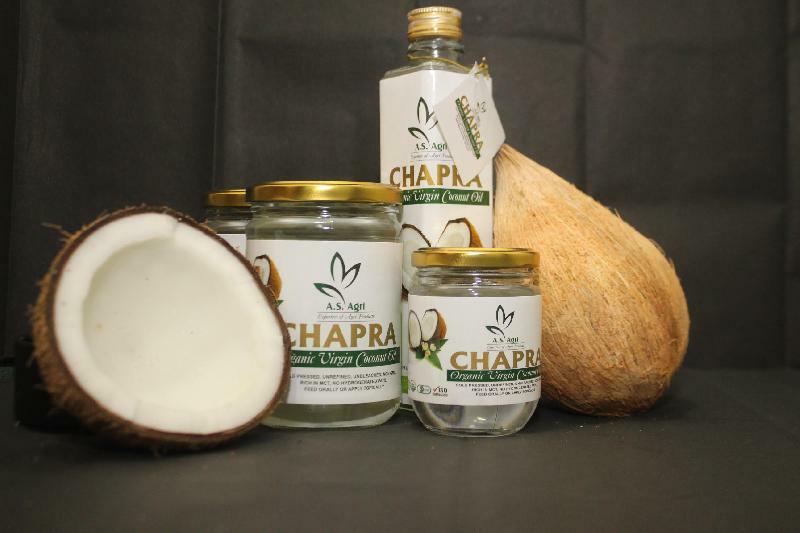 We offer cold pressed organic virgin coconut oil in various packaging like 0.5L, 1L, 2L, 3L, 5L, etc.